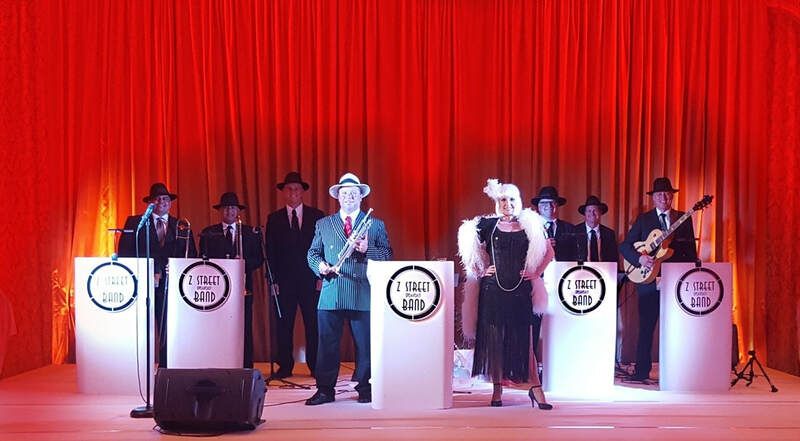 ​They play 20's, 30's & 40's Swing, Jazz, Gatsby, Big Band ,Vintage style, and if you'd like, they can transition into Rock, Pop, R&B, 70's, 80's, 90's, 2000's and current hits or they can play an entire night of 20's, 30's and 40's music if you prefer, and are available in your choice of attire including themed vintage attire or non themed cocktail or tux. 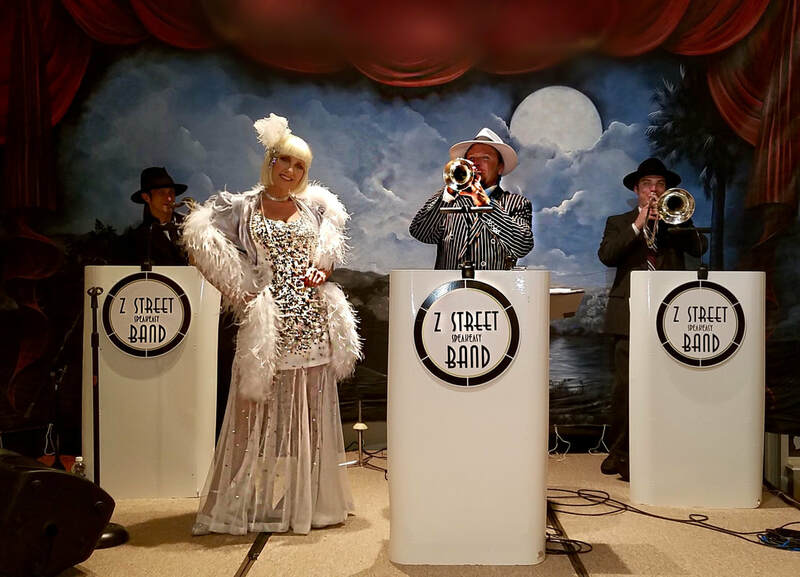 ​The musicians in the Z Street Speakeasy Band perform at Walt Disney World Magic Kingdom. 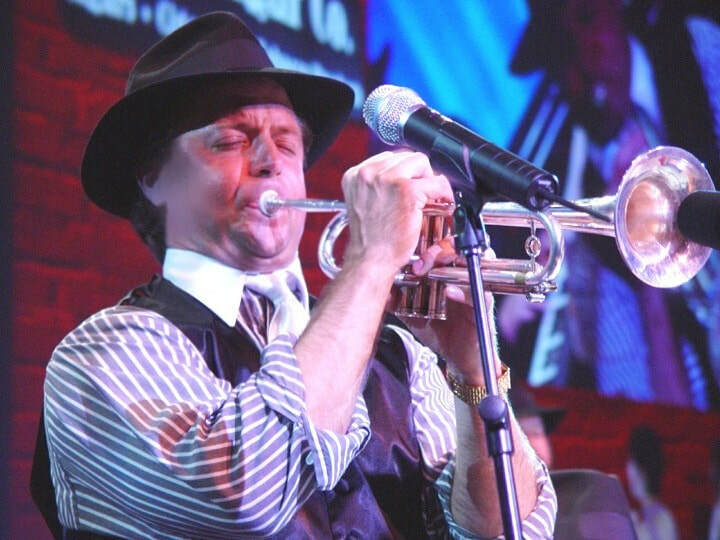 The Z Street Speakeasy Band carries Multi Million Dollar Liability Insurance, which most venues require. 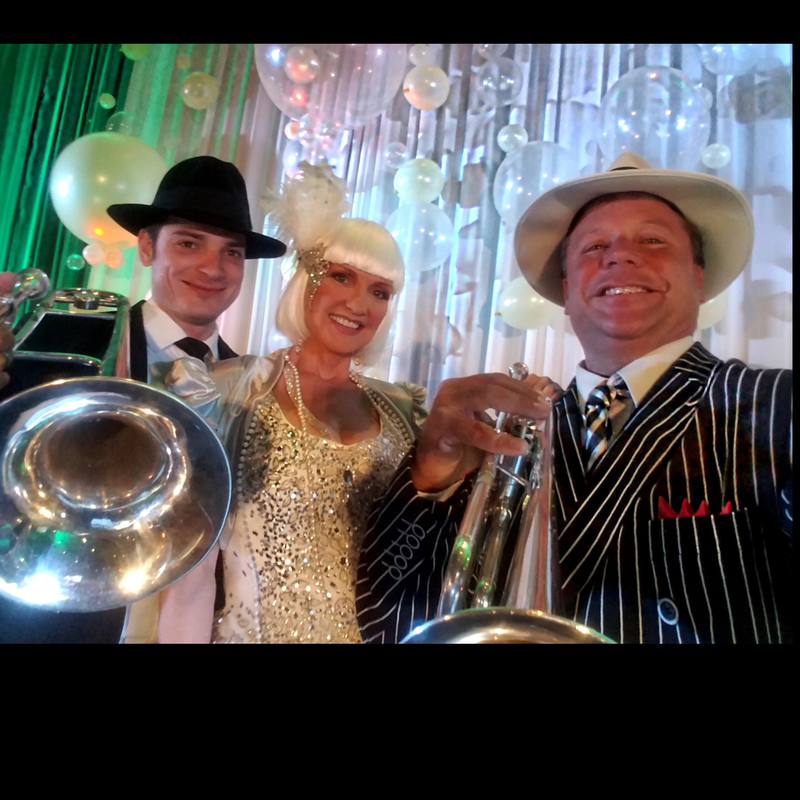 ​The band is dressed in stunning hand made reproductions of attire from the 1920's to the 1940's, or non themed cocktail or tuxedo. 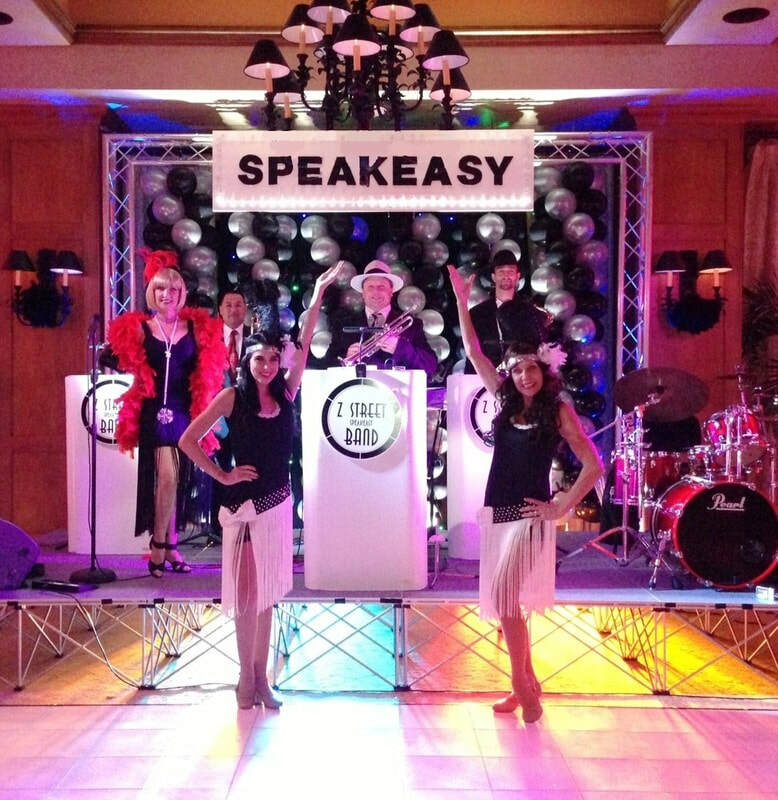 The Z Street Speakeasy Band is a premier Great Gatsby theme band in Orlando, Fl performing music from the 1920s to today.